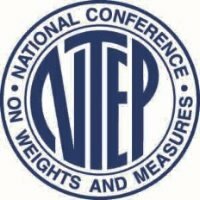 EXCELL Precision announced today that its GW/QW IP68 Waterproof Weighing Indicator has been certified by the National Type Evaluation Program (NTEP). This indicator meets exacting standards set forth by the National Conference on Weights and Measures Handbook 44, for legal-for-trade use. As one of EXCELL's best selling indicators, GW/QW is used in a wide variety of applications from basic weighing indicators in static floor scales and animal function scales, to fully functional indicators for operating truck scales. Because EXCELL is also certified as a "Production Meets Type" supplier, every indicator produced is assured of meeting NTEP performance requirements. EXCELL's GW/QW indicator, with IP68 dustproof and waterproof design, is built for dirty, wet environments and demanding workplaces. The extra-large and wide LCD 6-digit display (175x70mm, 55mm hight), with COOL WHITE LED backlight, allows for easy reading and operation. With a display resolution of 1/15,000, GW/QW comes standard with RS-232C+RTC (Real Time Clock) serial interface, adjustable gravity value, temperature compensation, low-power indication and auto-power-off, and can power up to four 350 ohm load cell. The optional bluetooth module can turn your scale into wireless capability, with up to 100m distance. All these features make GW/QW IP68 waterproof indicator the first choice for demanding industrial applications. EXCELL's industrial customers will find the GW/QW can be retrofitted into their existing applications as well as providing larger opportunities for endured data analysis and collection from an industrially-fitted indicator with high accuracy digital resolution. EXCELL Precision, founded in 1979, is a global manufacturer and marketer of precision instrument for use in laboratory, industrial and food retailing applications. Excell is an innovative leader in the scale industry, and launched Bluetooth and Wireless Charging (Wi-Power) application scales lately.